How can physical therapy help me if I’m pregnant or if I just gave birth? 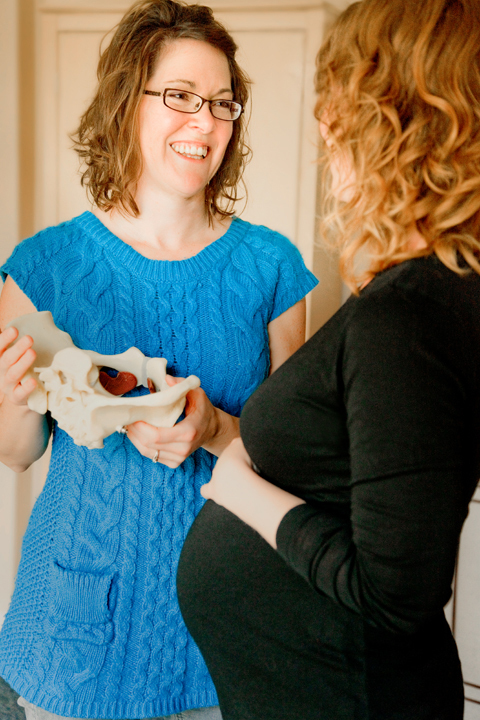 Women who are pregnant can experience musculo-skeletal pain at any time during the pregnancy. Physical therapy can help with most muscle, joint and nerve pain in the peri-natal patient. Pain radiating from the neck or back (or buttocks) into the arms or legs. Isn’t it normal to have some pain anyway? Yes, it is normal to have some episodic pain or soreness during pregnancy. Sometimes the muscles are strained with the body changes a woman experiences as the baby grows larger; these minor strains should go away within a week. Any back pain at the end of the day should go away during the night; simple exercises can really help you control this kind of pain on your own. Typically, women have more pain towards the end of the pregnancy when the baby is larger, but many women also have pain at the beginning of the pregnancy when the pelvic ligaments are beginning to relax to allow room for the baby. The muscles also are less coordinated at times, resulting in muscle strains, or ligament strains due to poor support. What can I expect as treatment? Your treatment plan is developed after a thorough examination and review of your medical history, and may include: fitting for braces or other supports, massage or other manual techniques to decrease pain and improve joint function, and instruction in individualized home exercises to reduce pain or improve motion. I just gave birth. How can P.T. help me?